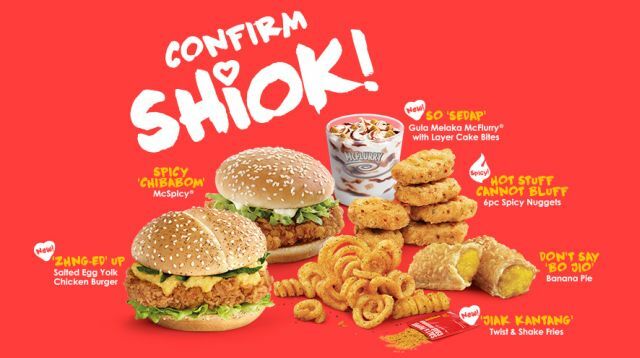 Much like McDonald's Canada gets a local-themed menu and other countries get an American-themed menu, McDonald's Singapore offers a Singapore-themed menu that recently returned to the country bringing with it a few new items including the Salted Yolk Chicken Burger and crab-flavored Twist & Shake Fries. 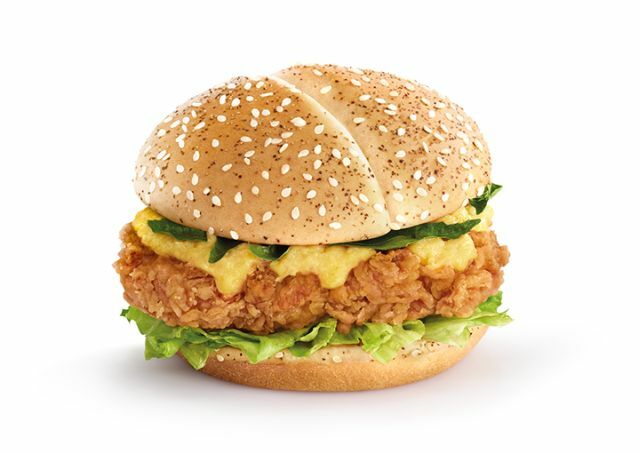 - Salted Egg Yolk Chicken Burger - Breaded chicken filet with salted egg yolk-flavored sauce, lettuce, and curry leaves, on a black pepper and white sesame bun. Apparently, salted egg is a big thing in Singapore where it's found its way into dishes both sweet and savory if this list is any indication. 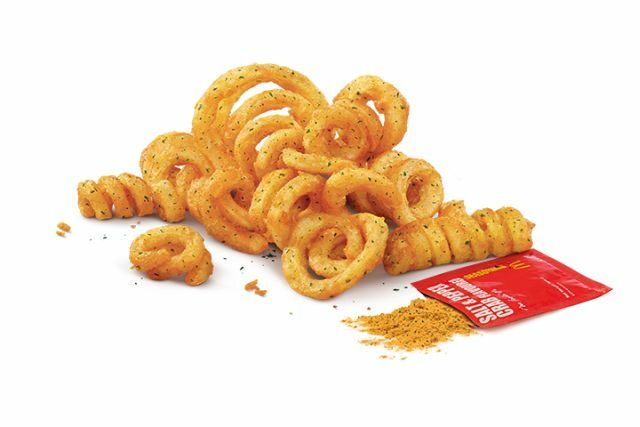 - Twist & Shake Fries - Curly fries that come with a packet of salt and pepper crab-flavored seasoning that you sprinkle on and shake in a bag. 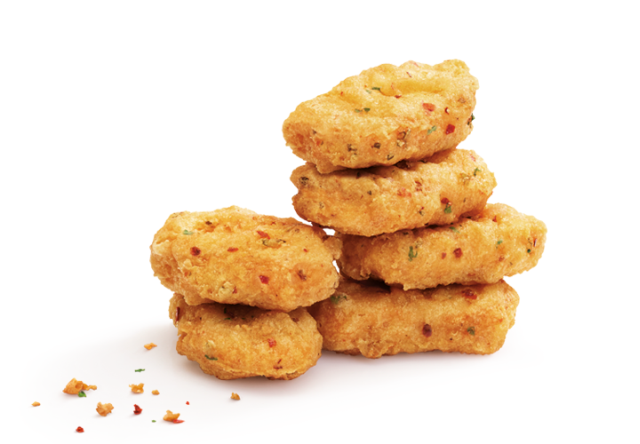 - Spicy Nuggets - A spicy hot version of the chain's signature Chicken McNuggets. - McSpicy - A deep-fried crispy chicken thigh cutlet marinated with fiery hot spices, served with lettuce and mayo on a toasted sesame seed bun. 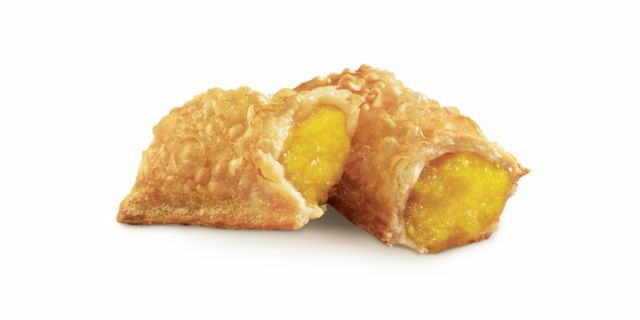 - Banana Pie - A fried turnover-style pie filled with warm banana bits. 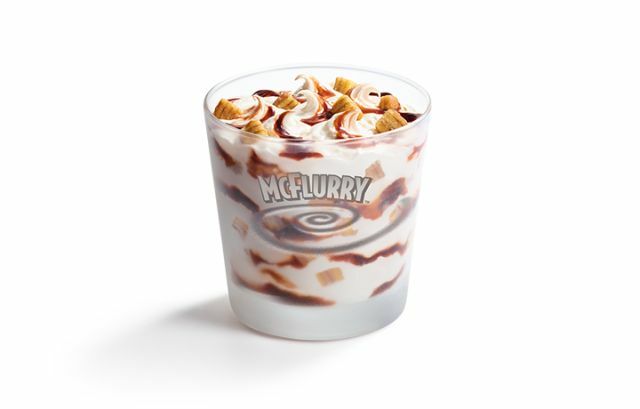 - Gula Melaka McFlurry with Layer Cake Bites - Vanilla soft serve swirled with gula melaka-flavored syrup and bites of layer cake. Gula Melaka is coconut palm sugar and similar in flavor to caramel and butterscotch.